Set on an idyllic 30-acre private island off the coast of Cambodia, Six Senses Krabey Island is a world unto itself with its breathtaking land-to-sea views and lush tropical foliage. Guests arrive in style by a private speedboat at the mainland reception just a 10-minute drive from Sihanouk International Airport. A study in sustainability, the resort’s 40 private pool villas are designed with eco-friendly materials paired with cutting-edge technology. 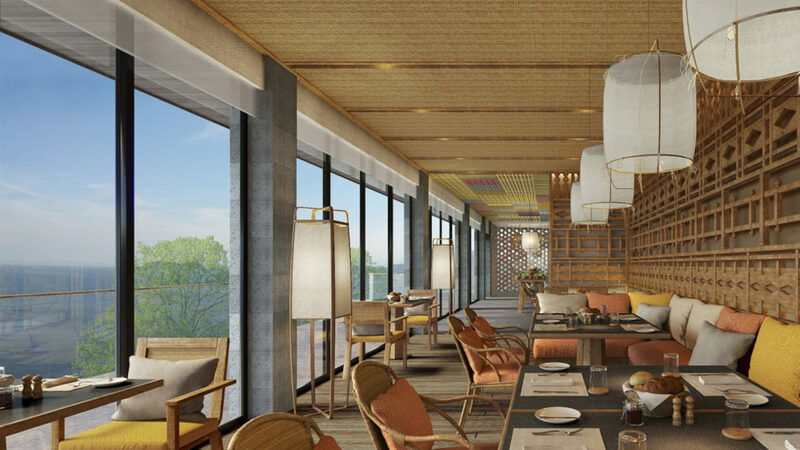 With a mix of contemporary and authentic aesthetics, elements of a classic Cambodian fisherman’s house are present throughout the common spaces of the main lobby, lounge, and sunset bar. Meals are its own occasion with a diverse menu of seasonal cuisines influenced by modern Khmer recipes to pan-Asian, Western and savory Mediterranean fare. 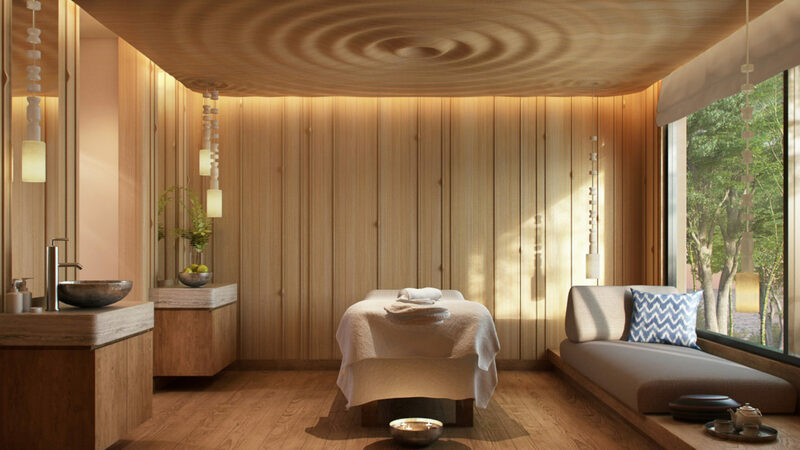 The Six Senses Spa with a philosophy grounded in Khmer healing traditions, offers integrated wellness, detox programs and holistic workshops, and an Alchemy Bar. 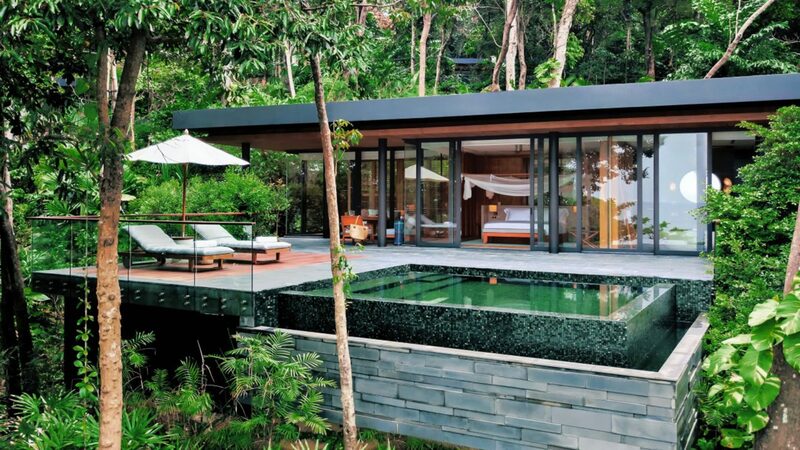 The Six Senses Earth Lab, Sky Observatory and an open-air cinema invite guests of all ages to commune with nature. The property recently opened in March 2019. Perfect for an intimate getaway or family retreat, the 40 spacious free-standing private pool villas offer ultimate privacy and uphold the commitment to using sustainable material with a contemporary flair while embracing modern technology for the comfort of guests. Villas range from one-to-two-bedrooms with tropical or ocean views creating. 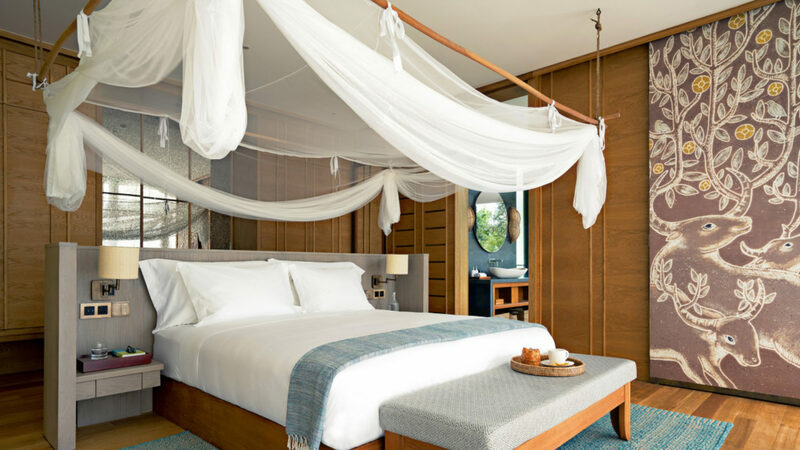 Air-conditioned living rooms include a day bed that can be adapted to an additional bed, while the master bedroom features a netting canopied bed with Naturalmat mattress and a spacious en-suite deep soaking bathtub with separate rain showers. Each villa includes a private plunge pool and decking ideal for sunbathing and alfresco poolside dining. 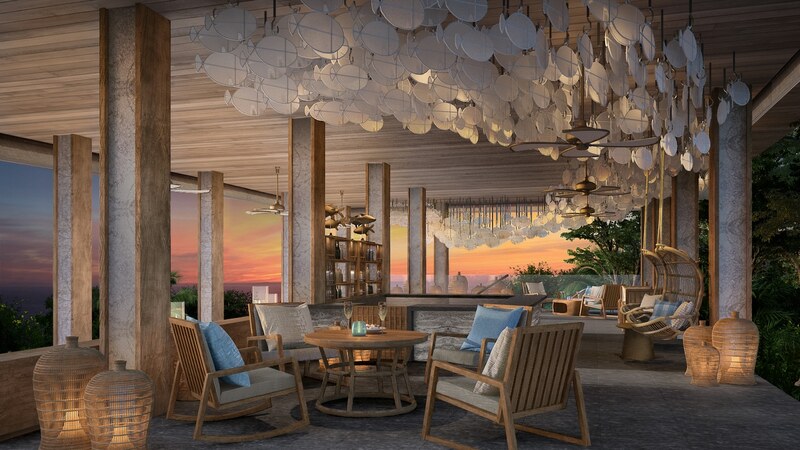 The ocean villas featuring stunning sunset views. The Ocean View villas and the Ocean Front Two-Bedroom villa offer elevated views of the ocean and nearby islands while the two-bedroom Beach Retreat offers access to a private beach. 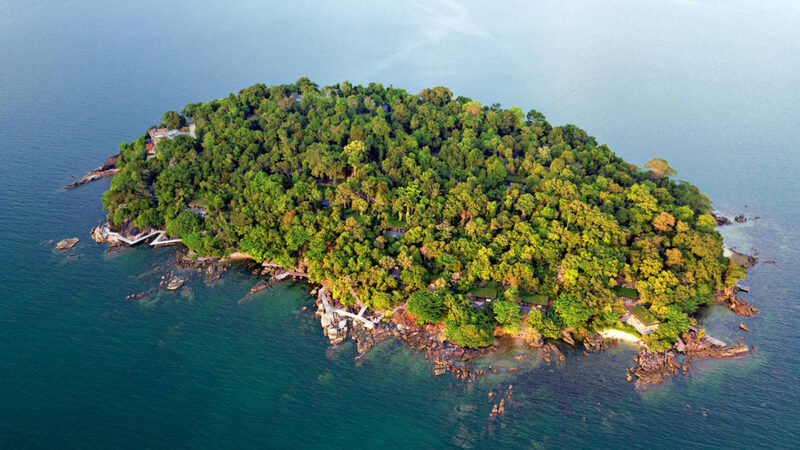 Located on a 30-acre private island off the coast of Cambodia, guests arrive to Sihanouk International Airport and drive less than 10-minutes to the mainland reception before boarding the speed boat. There are connecting flight options from Ho Chi Minh City, Phnom Penh and Siem Reap to Sihanouk International aiport and private jets or helicopters can be accommodated.